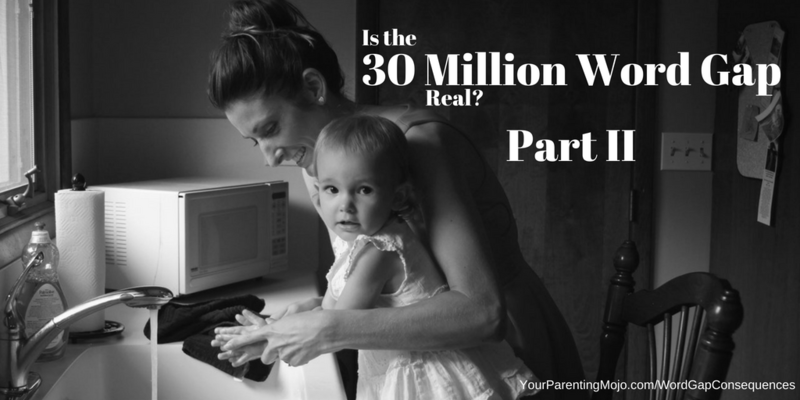 This episode revisits the concept of the 30 Million Word Gap concept, which we first covered in an interview with Dr. Doug Sperry a few weeks back. After she heard that I was going to talk with Dr. Sperry, Dr. Roberta Golinkoff – with whom we discussed her book Becoming Brilliant almost two years ago now – asked to come back on to present a rebuttal. We’re going to learn a lot more about the importance of child-directed speech! This episode serves two purposes: it helps us to understand another aspect of the 30 Million Word Gap, and it also demonstrates pretty clearly that scientists – both of whom have the best interests of children at heart – see very different ways of achieving that end. Adair, J.K., Colegrave, K.S-S, & McManus. M.E. (2017). How the word gap argument negatively impacts young children of Latinx immigrants’ conceptualizations of learning. Harvard Educational Review 87(3), 309-334. Avineri, N., Johnson, E., Brice‐Heath, S., McCarty, T., Ochs, E., Kremer‐Sadlik, T., Blum, S., Zentella, A.C., Rosa, J., Flores, N., Alim, H.S., & Paris, D. (2015). Invited forum: Bridging the “language gap”. Journal of Linguistic Anthropology, 25(1), 66-86. Bassok, D., Latham, S., & Rorem, A. (2016). Is Kindergarten the new first grade? AERA Open 1(4), 1-31. Baugh, J. (2017). Meaning-less difference: Exposing fallacies and flaws in “The Word Gap” hypothesis that conceal a dangerous “language trap” for low-income American families and their children. International Multilingual Research Journal 11(1), 39-51. Correa-Chavez, M., & Rogoff, B. (2009). Children’s attention to interactions directed to others: Guatemalan and European American Patterns. Developmental Psychology 45(3), 630-641. Craig, H.K., & Washington, J.A. (2004). Grade-related changes in the production of African American English. Journal of Speech, Language, and Hearing Research 47(2), 450-463. Genishi, C., & Dyson, A. (2009). Children, language, and literacy: Diverse learners in diverse times. New York: Teachers College Press. Golinkoff, R.M., Hoff, E., Rowe, M.L., Tamis-LeMonda, C., & Hirsh-Pasek, K. (in press). Language matters: Denying the existence of the 30 Million Word Gap has serious consequences. Child Development. Lee-James, R., & Washington, J.A. (2018). Language skills of bidialectal and bilingual children: Considering a strengths-based perspective. Topics in Language Disorders 38(1), 5-26. Rogoff, B., Mistry, J., Goncu, A., ,& Mosier, C. (1993). Guided participation in cultural activity by toddlers and caregivers. Monographs of the Society for Research in Child Development Series No. 236, 58(8), v-173. Ward, M.C. (1971). Them children: A study in language learning. New York, NY: Holt, Rinehart & Winston. Washington, J.A., Branum-Martin, L., Sun, C., & Lee-James, R. (2018). The impact of dialect density on the growth of language and reading in African American children. Language, Speech, and Hearing Services in Schools 49, 232-247.